A quilt for a new mama friend. The best I have for a wide shot. It's Oregon, the lighting is terrible until July. And then we go nuts and hang the quilts outside. This quilt was born of a failed project that I had cut into pieces in disgust. Doesn't Bonnie Hunter say if you don't like a fabric, use a smaller piece? I figure maybe that applies to patchwork too. When my friend declared grey one of her favorite colors I immediately thought of the languishing little strips, and the quilt started assembling itself. I started by putting strips on the wall. My process relies heavily on having a design wall. I don't know how much I spent on this old tablecloth and the thumbtacks that hold it up, but I have certainly gotten my money's worth. I quilted the pebble ribbons first and filled in with the wavy lines afterward. 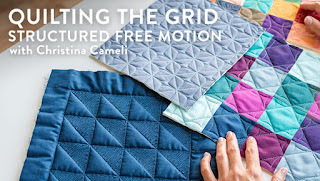 I recall reading one quilter's perspective that a quilt should hold something of interest at three distances: across the room, nearby and in your face. I think of that advice often when I'm working on a piece, and particularly when planning the quilting. What is there to discover up close? In this case, I left some quilted words of encouragement. This is my first quilt since the baby was born. It came together in just over a week. I had motivation, but still, wow. Something has shifted. Several somethings in fact. As I stitched I was thinking a lot about my work as a quilter, as an artist. Thinking about how I keep poking at the same things over and over. Shapes in negative space. Strips. Things sewn, cut, and then sewn again. A bit of light, movement, sparkle. This quilt really brought to the forefront of my mind that I have a visual vocabulary. I have something I do. I have a process, a method, a style. It feels good to see this pattern. I can respect it, and let it work. Love it and let it grow into the Next Thing. I can be kinder to myself, see that I just have to make my art in my way, and not worry about how it fits in with anything else. So that's my meditation right now. To just keep making the quilts, to do the work without the worry. Easier said than done, for sure. But worth it to keep trying. 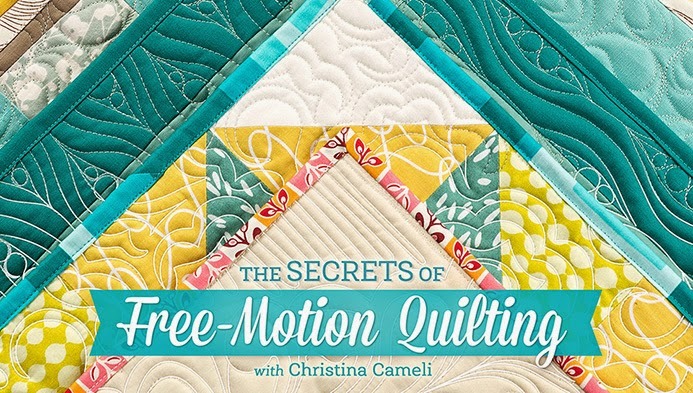 Love the quilting and the whole quilt! Amazing! I love your quilt and your post. 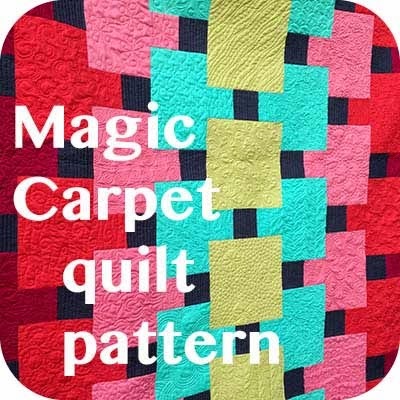 I like this quilt a lot and enjoyed reading about our process. I have been trying to incorporate more contrast in my quilts but maybe interest from different perspectives is a better way to think about it. Thanks for sharing that secret! Love your quilt! Fantastic way to use up some scraps! Thanks for sharing! 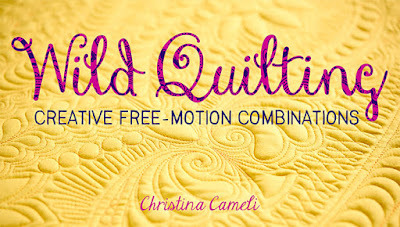 Love this quilt Christina and your process too. Great way to take something failed to something so lovely! great quilt - in this case the cut it smaller has resulted in a beautiful quilt. 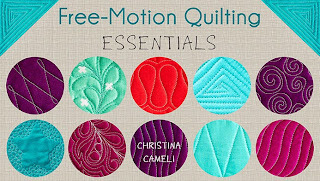 Lovely quilting and thanks for your insight...we all should remember to keep it in mind. New to your blog and enjoying it very much. Very cool quilt. And I love reading about the process. Thanks also for sharing that advice about the "three things". Love this - and your style. The "three things" is good to keep in mind!!! Great job on taking this as a hated project to something your friend will love. Way to go on the quilting as well! well said. thank you for sharing the thoughts about process so well. I hope to share your feelings for quilting some day, and I think it will come as you say...letting go of worry and doing the work. My stack of WIP's agree with me too. Wow, it's amazing. I can't believe this started as a "failed" project. And your quilting is amazing. I love the idea of something of interest far away, up close, and in your face. Cool. I loved reading your thoughts, too. Nice. So glad you are back. Well I think you cracked the 'three things'. And that's a really great piece of advice. 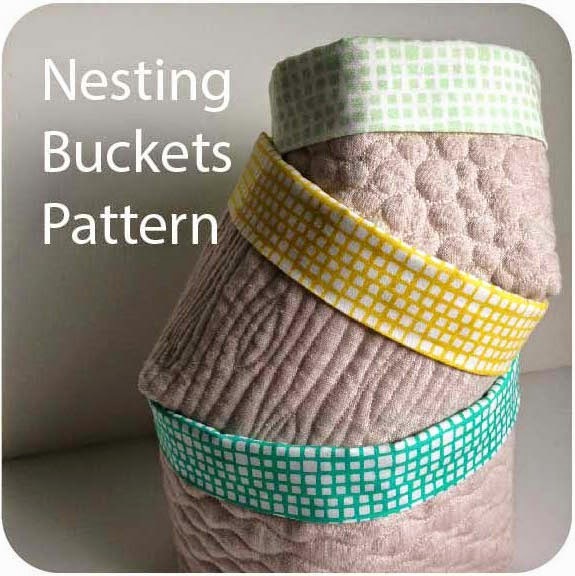 I'm going to go stare at my latest quilt and see if I've got all three. It's a really neat quilt and I'm sure she'll love it. I really like the movement in this quilt. It is lovely. I've never heard of the three things but I'll be thinking about them from now on. Great quilting too. If only my machine and I were on the same page about FMQ. Thanks for sharing the story/process too. 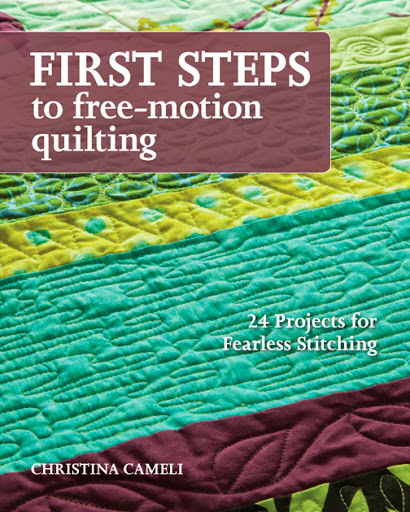 Thanks for sharing the 3 things of your process -- and keeping focus on what you want to do with the quilt. In this one, I love the quilting. I'm thinking that I need to ignore the extraneous and will feel better about the quilting decisions I'm making. Hey! I just gave myself the permission to do what I want.